Hi my name is Tom Gilbert. I have been a student at Ngaruawahia High School for five years. During this time I have enjoyed a quality education with small classes, and great teachers. I have always been supported in my academic pursuits by school staff. I like how teachers get to know you as an individual and tailor your learning programme specifically to your needs. As a Year 13 student, I am treated like an adult. I’m encouraged to set goals, manage my time and organize my learning independently. I believe that these skills will stand me in good stead when I attend University. As Head Boy this year I have been given oppurtunities to further my leadership potential and represent the school in a number of forums. I particularly enjoyed the ANZAC Commemoration Service in Ngaruawahia where I was priviledged enough to meet returned servicemen. There are many opportunities available to students at this school including cultural, sporting and leadership courses. My advice to 2015’s Year 9 students is to take full advantage of these opportunities. If you come to school with a positive attitude and sound work ethic you can achieve academic excellence and enjoy a well-rounded education. I have genuinely enjoyed my time at Ngaruawahia High School and look forward to watching the school grow in the future. "There are many opportunities available to students as this school including cultural, sporting and leadership"
Hi, my name is Levy Anderson and I am the Head Girl for 2014. I have been at Ngaruawahia High School since Year 9, and have progressed through the junior and senior school. 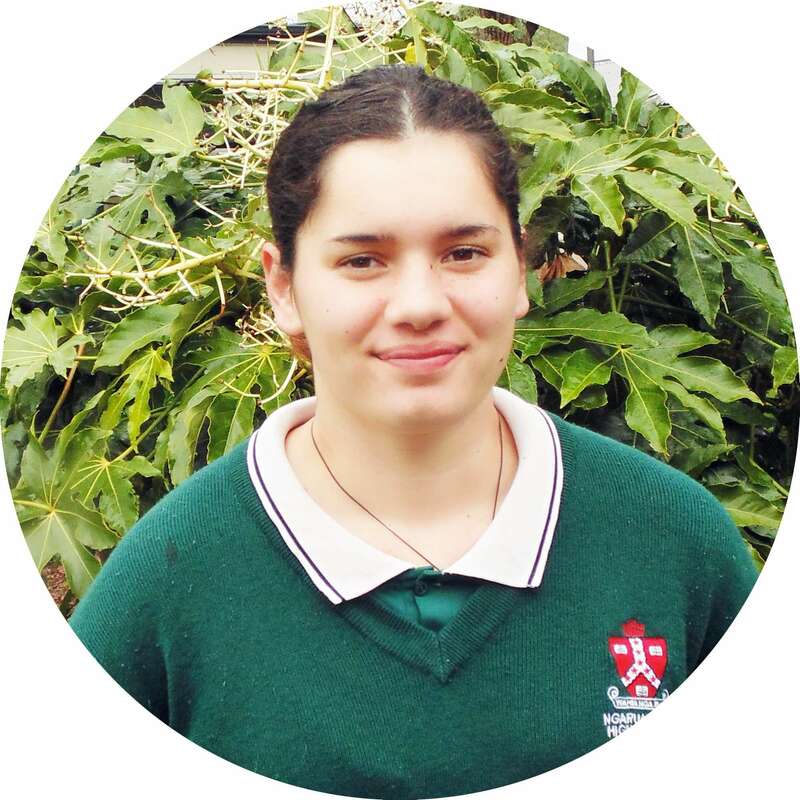 I have always made the most of all of the opportunities available to me at Ngaruawahia High School and have participated in sports teams and other co-curricular activities. I was a member of the School Counsel in 2013 and this allowed me to contribute to the school community. This year I am involved in the Ball Committee and am thoroughly enjoying the process of planning and fundraising for this event. Strengths of Ngaruawahia High School include our small number of students and the sense of community that this brings to the school. Class sizes are also small, allowing students to have more one-on-one time with their teachers. Teachers get to know the students well and form relationships with them – guiding them through their schooling and addressing academic and pastoral needs. "I really like how students at Ngaruawahia High are treated as individuals"
I have always had learning programmes tailored to meet my needs, strengths and interests. This has enabled me to pursue curriculum areas that I am passionate about such as Media Studies and Photography. At Ngaruawahia High School senior students are treated like young adults and given privileges to reward them for their commitment to their schooling. This flexible approach has enabled me to develop self-management skills and other attributes that will see me through 2015 and beyond. 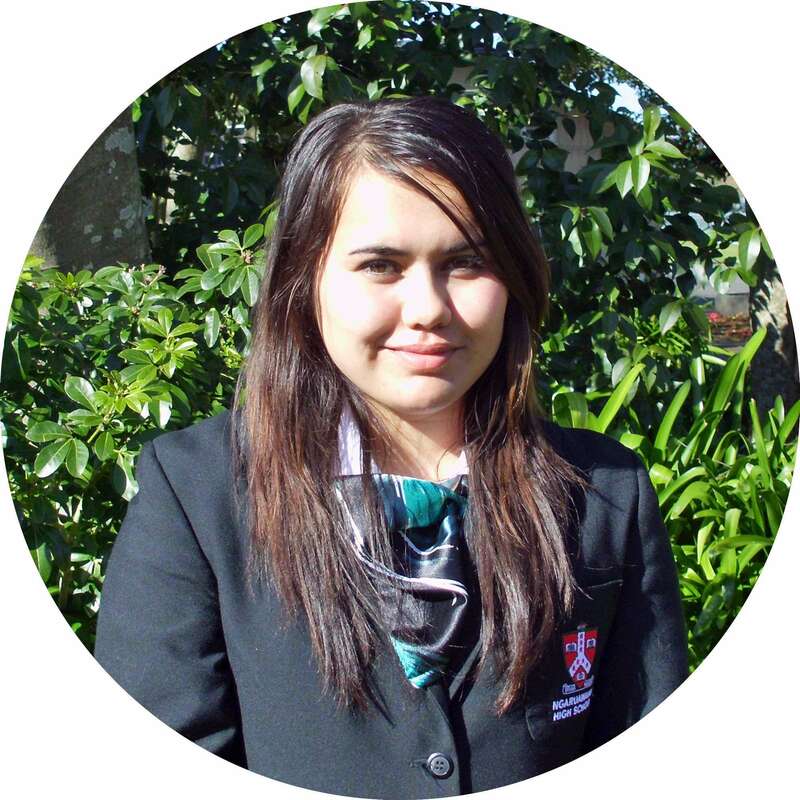 Kia ora, I’m Sapphire Maunsell and I am honoured to be Ngaruawahia High School’s student representative on the Board of Trustees. The past few years I have always wanted to know more about the school and have a say for the students, so I was happy to hear that I was chosen to be the Student Representative this year. Being a Student Representative has taught me a lot about processes and procedures and allowed me to contribute to the school community. 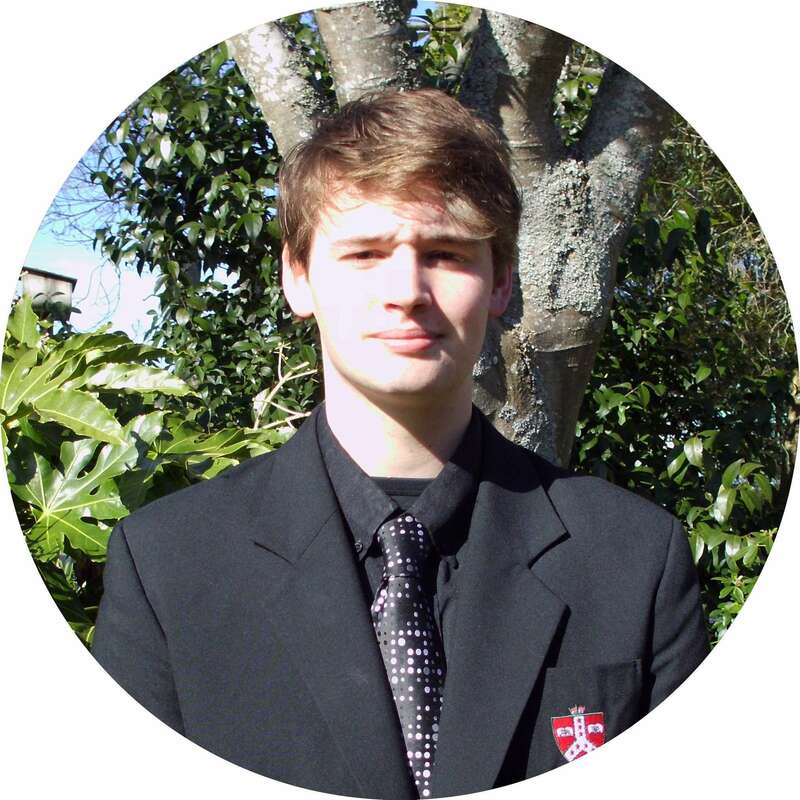 I began school at Ngaruawahia High School in Year 10 and have enjoyed all of the opportunities available to me. "I am supported in this school by the teachers and I feel like I am being well-prepared for the future"
Senior students are treated as young adults and expected to know how to self-manage and be organised. This year I have been involved in the Ngaruawahia High School Events class helping with fundraising and activities for the school. I have also committed some of my time to the Ball Committee to plan the Ball, design the tickets and help with props. This has been very enjoyable and rewarding. With the help of the Board of Trustees and teachers, I plan to use my position as Student Representatives to make Ngaruawahia High the best school it can be. Academically, culturally and in the sporting arena, this school offers students many rich opportunities. However, there is still room for growth and improvement. Next year I plan to re-join the Ball Committee, re-apply to be Student Representative and apply for Head Girl! 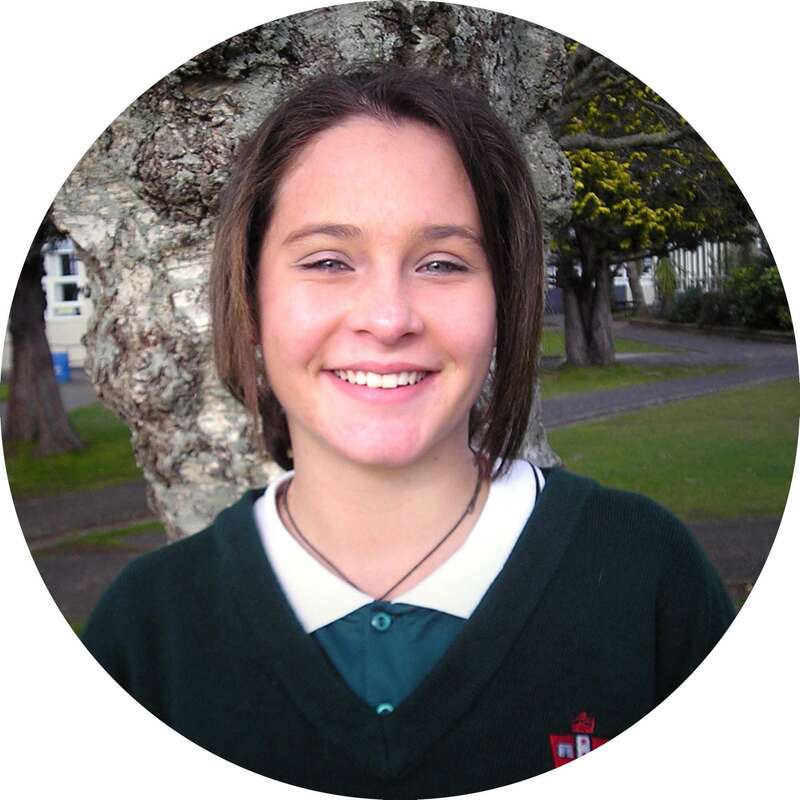 Hi, my name is Shauna Dennis and I am a Year 9 student at Ngaruawahia High School in 2014. On my first day of school happy, smiling faces were everywhere I looked. The Year 9’s were waited for the loud, scary school bell. It finally rang and we entered the grounds of the school Marae, ready to be welcomed with a Powhiri. After the Powhiri we were taken to the school hall and the teachers explained to us that we would be making our own furniture! The main materials that we had to create “pallet palace” were recycled pallets, wooden reels and old planks. What followed was four days of dreaming, designing, planning, building and painting. All the Year 9’s worked in groups on a particular area. When we were finished we couldn’t believe what we had achieved. The hall looked great and became our new modern learning space. "We are encouraged to be creative, independent thinkers"
As the year has progressed we have been involved in other projects and sporting events. At the swimming sports in Term 1 I won all my races and became “Junior Girl Swimming Champion’. Athletics followed and I also did well in my races and events. Ngaruawahia High School has given me many opportunities to participate in sporting and cultural activities. All junior students have been involved in Kapa Haka this year and currently we are working on a production called “Born of Greatness”. We have been working very hard on this and look forward to performing for the Maori King, the community and primary schools in our area. I am really enjoying my time at Ngaruawahia High School. I enjoy the modern approach to learning where we are encouraged to be creative, independent thinkers who learn in many different places – not just the classroom. I am looking forward to the rest of my school years here. If you are considering sending your children to Ngaruawahia High School, I highly recommend it. You won’t be disappointed!